Mini y fácil de llevar. Capacidad: 5 ml. Da un spray fresco cuando salgas todo el día. Mini perfume EAU DE ROCHAS Eau de toilette 10 ml. 0.34 fl.oz. 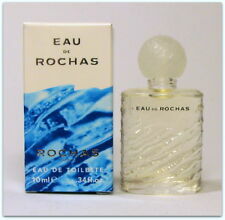 EAU DE ROCHAS Eau de toilette 10 ml. 0.34 fl.oz. con caja, para colección o uso personal. Frasco de cristal. Algunos tienen una antigüedad superior a los 10 años. 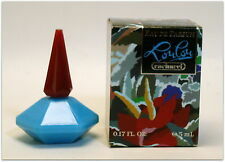 Lou Lou Cacharel Eau de parfum 5 ml. 0.17 fl.oz. Mini perfume. Nueva con caja. Eau de parfum Lou Lou de Cacharel. 0.17 fl.oz. Eau de Paarfum Lou Lou Cacharel 5 ml. Blue crystal bottle, with box, for collectors. The top notes are composed of violet, plum black currant, marigold and anis; the heart of sweet Tiare flower is accentuated with the notes of tuberose, ylang-ylang and orange blossom; all that is followed by powdery trace of orris and Tonka bean, and sensual mix of vanilla and balsam. 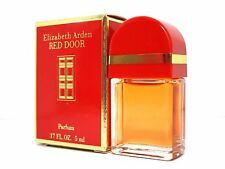 Miniature Carolina Herrera EDP 7ml Mini Perfume Vintage for collectors. Miniature Eau de Parfum Carolina Herrera, 7ml. Ideal for collectors. Esto no impide su venta como pieza de colección. La fragrancia contiene magnolia, flor de azahar del naranjo y jazmín. 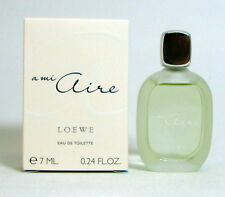 Miniature Eau de Parfum Aura by Loewe, 5ml. Esto no impide su venta como pieza de colección. New, in box. FLORA BY GUCCI EAU DE TOILETTE 5 ML. 0.16 FL.OZ. With box, new, full, never open. Photo are Real. Miniature PALOMA PICASSO, Eau de Parfum, 5ml. Esto no impide su venta como pieza de colección. Ideal for collectors. Miniature MAHORA BY GUERLAIN, EAU DE PARFUM 5ML. Esto no impide su venta como pieza de colección. Miniature Casmir by Chopard, Eau de Parfum, 5ml. Esto no impide su venta como pieza de colección. Ideal for collectors. Miniature Io by La Perla, Eau de Parfum, 7ml. Esto no impide su venta como pieza de colección. New, in box. Ideal for collectors. Miniature ROUGE HERMÈS by Hermès Eau de toilette, 5ml. Esto no impide su venta como pieza de colección. Miniature PALOMA PICASSO, Eau de Toilette, 5ml. Esto no impide su venta como pieza de colección. Ideal for collectors. Azzura Eau de toilette AZZARO 5 ml. 0.17 fl.oz. Azzura de Azzaro es una fragancia de la familia olfativa Floral Frutal para Mujeres.Azzura se lanzó en 1999. La Nariz detrás de esta fragrancia es Laurent Bruyere. ¡No te quedes sin los productos Urlic De Varens 100% originales Género: Mujer Incluye: edp 25 ml edp 20 ml. ¡No te quedes sin losproductos Urlic De Varens 100% originales. Género: Mujer. Iluminador Les Beiges Chanel. Don't miss out on the100% original products Urlic De Varens ! MISS BALMAIN. ENVIO CERTIFICADO. Año de creación de la fragancia: 1967. Con caja, para colección o uso personal. Each fragrance is 5ml and individually boxed. MOSCHINO FRESH PINK. 100% AUTHENTIC. GIFT BAGGED. Davidoff Coolwater Woman 5ml EDT. A strong scent. Lanvin Arpege 5ml EDP. Moschino Funny 4ml EDT. Moschino Funny! was launched at the end of spring 2007. This feminine scent possesses a blend of peach, apricot, sandalwood, cedar, amber and musk. It is light and vibrant with opening notes of refreshing spice and mandarin, followed by exotic notes of masala tea and completed by the signature note of sandlewood and tonka bean. Giorgio Beverly Hills Yellow 3.5ml EDT. BENETTON HOT. 100% AUTHENTIC. GIFT BAGGED. 1.6ml edt Blonde eau Fleurie. 1.6ml edt Versus. Jimmy Choo Blossom 4.5ml EDP x2. Jimmy Choo Blossom is bold bouquet of fruity and floral notes. It sparkles like the first sip of a cocktail. Opening notes of red berries and citrus cocktail are joined by a heart of sweet pea and rose. Gucci Flora Eau Fraiche 7.4ml EDT. Even younger, more airy, vivid and fresh than the original, this fragrance is for the confident, sensual and optimistic woman who knows how to have fun. It opens with citrus notes of Bergamot and Kumquat laced with rose and osmanthus for a soft, seductive feel. A strong scent. Lanvin Arpege 5ml EDP. Jimmy Choo Woman by Jimmy Choo 4.5ml EDP. Experience a fresher interpretation of the iconic Nina fragrance with the Nina Ricci L’Eau Eau Fraiche, the new scent for the modern princess with attitude. Honeysuckle presents the femininity while white birch and creamy amber brings a more powerful finish. Classed as a sweet, fresh and powdery scent. Hugo Boss The Scent 7.4ml EDP Spray. Heart notes: Osmanthus and Apricot Scent. Repetto Paris 5ml EDP. Ungaro L'Amour Fou 5ml EDP. Rihanna Rebelle EDP 7.5ml. New Women's Hollister Holiday-Edition Mini So Cal Perfume 15ml / 0.5 FL.OZ. Jo Malone Nectarine Blossom & Honey Perfume Mini 9ml Travel Hand Bag Size! Gift! 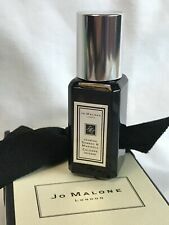 Jo Malone Tuberose Angelica Cologne Intense Mini 9ml Hand Bag Size Perfect Gift! Jo Malone English Oak & Red Currant Cologne Mini 9ml Travel Hand Bag Size! Gift!